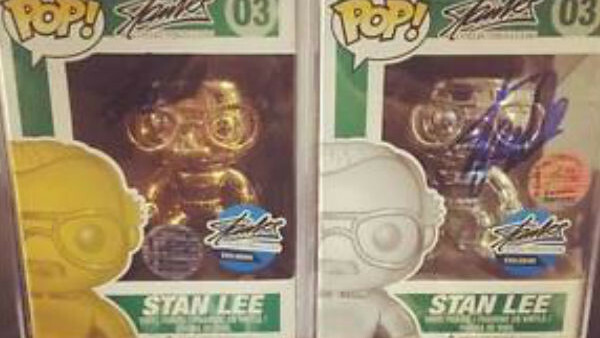 Stan Lee has his own series of POP figures. Why wouldn’t he? He’s regularly credited for being the father of modern superhero culture. There are a fair amount of Stan Lee variants out there. Most of them just feature him in different t-shirts, but some a little wackier. There are a couple with his head on the body of Guan Yu, a legendary warrior for China’s past, and also some in gold and silver. The rarest Stan Lee figures though are the metallic gold and platinum versions. There’s only 10 of each in the world, and they were distributed by stanleecollectibles.com. The actual average value of these two figures are unknown, but there’s currently a set up for sale on eBay, signed by the man himself for $9999.99. If that sounds like a bargain to you, I’d advise making a purchase, as you never know if you’ll see them again.